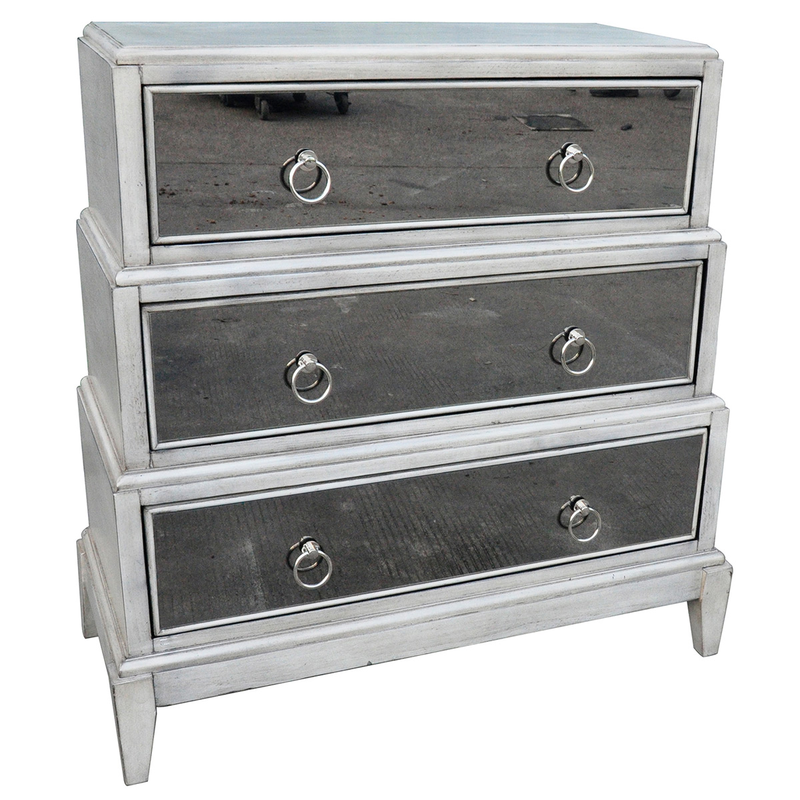 The Gabrielle 3 Drawer Whitewash and Mirror Stacked Chest adds bayside style to your room with fun mirror fronts and whitewashed frame. Ships from the manufacturer. Allow 1 to 2 weeks. Cannot express ship this beach style furniture. For further options, we encourage you to take the occasion to look at our thorough collection of beach style cabinets at Bella Coastal Decor now.